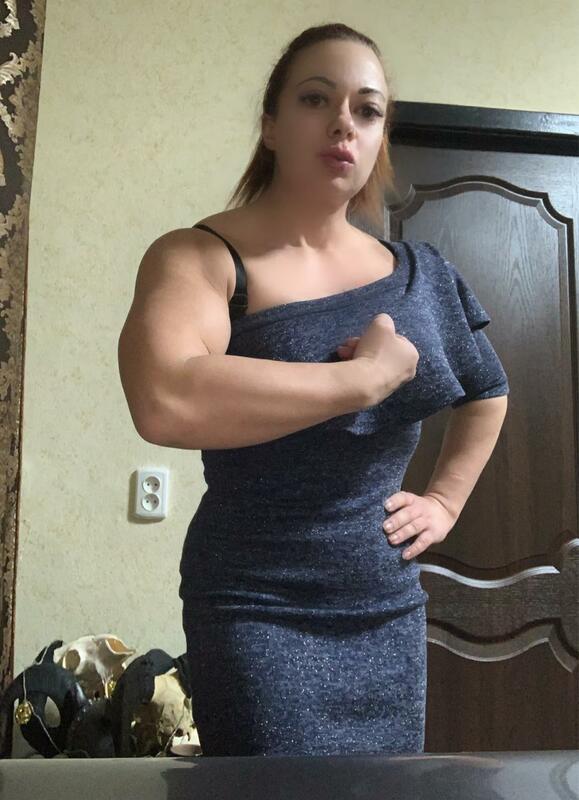 Anna is a Ukranian national who speaks Russian and English, and a serious lifter ("I lift real huge weights.") and arm wrestler. She is an actress and one of the biggest FBBs in the world, very strong, charismatic, and beautiful with a sweet personality. "Now about 200 pounds and unbelievably strong and pretty" Ready to give you all unforgettable emotions on sessions." "Looking for an agent for acting business" Work for a percentage, which we will discuss in private e mails." 8/2012: "Anna is probably the most feminine bodybuilder I've ever met. 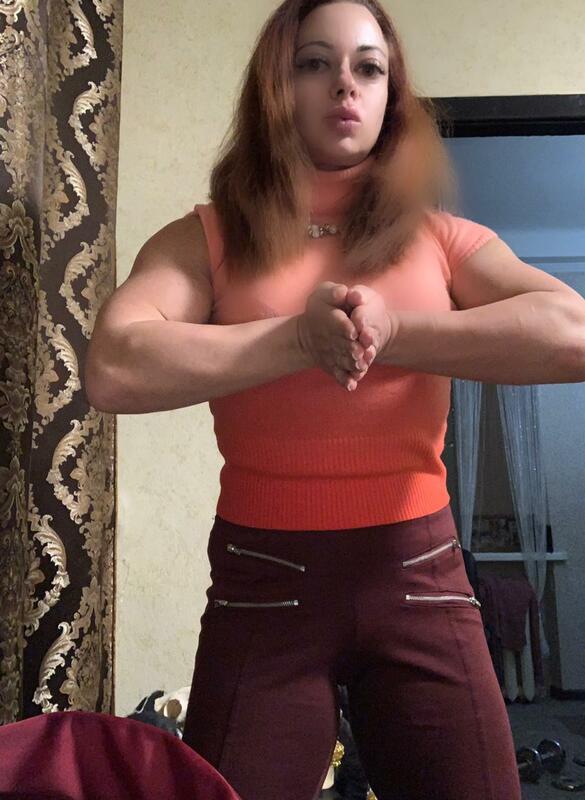 Don't get me wrong - she is massively muscular - but she has such beautiful velvet soft skin, combined with the sweetest voice and girlie demeanor and such a pretty face; the combination of which was quite shocking at first (in a good way!) She overpowered me with such ease, pinning down both my arms with just one of hers, probably at no more than 50% effort (I’m 150lbs), all the time looking at me with a nonchalant smile. Anna is also very sweet, great fun, easy to talk to, and doesn’t watch the clock."